Basic Blackjack is an engaging text written by a gentleman with the pen name of Stanford Wong and was published in 1992. The author whose actual name is John Ferguson was very instrumental in changing the face of blackjack. This book is the study of the elementary strategies and the adjustment that can be made to the rule of the game, to ensure wins on any wager. The majority of the book is devoted to an in-depth analysis of short-range tactics that are used and can be used in places like Asia and Europe. If you are good with maths and with a keen interest in the game of blackjack; this book is for you. The Big Book of Blackjack originally published on March 1st 2006 and is written by Arnold Snyder. This book covers the ABC’s on blackjack card counting, and is aimed to a beginner or a someone at the intermediate counting level. The technical aspects of card counting are not included in this text, however it does cover the principal points about card counting in layman’s terms so even a novice can understand. Blackjack Autumn is a personal story written by Barry Meadow and was published in 2001. It is a detailed account of his mission to count cards at every blackjack table in every casino in Nevada, and is has comical annotations. Included into this stimulating, yet informative book are anecdotes and challenges experienced by the write. You can get lost within this twisted tale of intrigue and excitement. This book can be an interesting read if you want a change from some more serious reading. Dynamic Blackjack by Maverick Sharp was published in 2013, and it caters from the beginner to the professional. It touches on topics like the rules of the game and also addresses card counting intimately. One aspect of blackjack which is referred to as “The Dynamic Matric Pro Count” is covered extensively in this book. Few books, if any at all review this topic extensively. The content of this book is geared to persons who are seriously interesting in card counting at blackjack. It’s not your everyday text that is geared as entertainment, but an informative piece of literature for die-hard professional blackjack players. The book Golden Touch Blackjack Revolution by Frank Scoblete was published on July 1st 2006. In this text, the speed count is explored extensively and demonstrates how to combine card counting with basic tactics. However, this book does not explore the use of negative – value cards and does not explore the true count-count conversion. This book is very informative and effective in the use of strategies that are simple and easy to learn and remember. 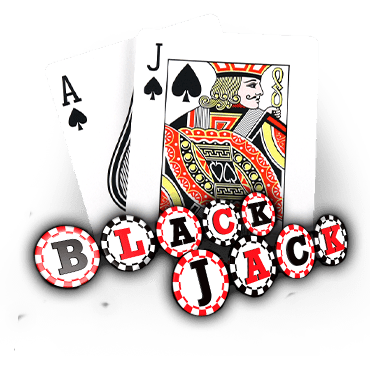 Hollywood Blackjack written by Dave Stan was published on September 19th 2007. Some have said that Dave is the most arrogant blackjack player to ever have written a book about this subject. If you have a low tolerance level for profanity, this book is not for you. The f-bomb is dropped numerous times in this informative and likable text about blackjack. The author describes in a bold and cheeky fashion his own advice based on his own experience. There are strategy charts and wager to bet suggestions. Even though it is written for a beginner, the mathematical advice is sound and reliable. 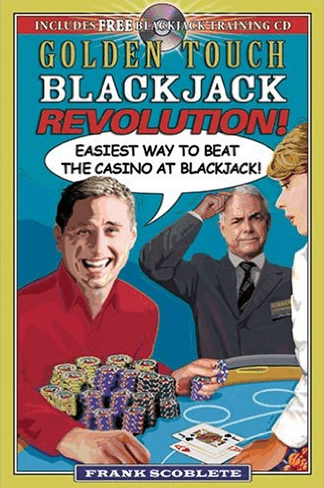 The Most Powerful Blackjack Manual was published on June 30th 2004, with Jay Moore being the author. The book differs from other blackjack books, since it doesn’t really talk about the rules, but more about the mental part of the game. Moore uses his own experience from blackjack playing, and gives an interesting insight about how being successful in blackjack requires self-discipline and the ability to be cool-headed at the table. You’ve Got Heat is an in-depth and informative text on blackjack published in 2004, by Barfakel. The book is a personal diary of a blackjack player, and it is unlike most books. 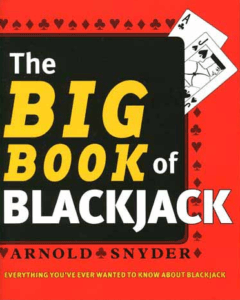 This because most books about blackjack are often way off-base, or directly on target – and usually written by novices or professionals, but the author can be referred to as an ordinary card counter. If you need a step by step analysis of blackjack, this book is for you. However, do not be surprised that like a diary, it contains irrelevant information such as details on the ins and outs of the author’s daily life. That aside, this book can be viewed as a how-to guide, that addresses basic strategies, card counting and how the author combined the two, to at least beat the house and had some profits on his wager.